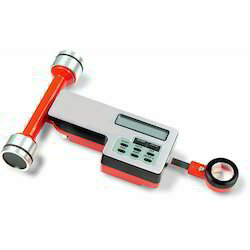 Prominent & Leading Wholesale Trader from Mumbai, we offer digital planimeter, digimatic thickness gages, digital planimeter kp-92n, planimeter kp-92n and thickness gauge. We are one of the trusted importers suppliers of wide range of Digital Planimeter, used while walking, driving, cycling and jogging. Our manufacturers use high quality of basic material and components and are offering these Planimeter in different models. Digital Planimeter, Japan, Model KP-90N. Digital Map Measurer, imported, Model : EEL – 323. 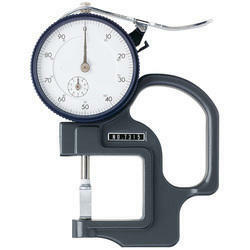 Wide range of applications with various types of measuring faces (on the spindle and anvil). 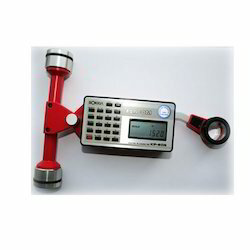 547-401 (547-400) is ideally suited for measuring thicknesses of paper, film, wire, sheet metal and similar materials. Hold memory function: In cumulative measurement, this Hold Memory function is effectively used. If an error occurs in measuring, press C/AC key. Then last measured value is appeared by pulse count. Since previous measured values before error are stored, there is no need to another measurements from the beginning. Automatic shifting of unit to upper unit:When the measured area value overtlows the displayed figures of 8 digits, the measured area value is calculated and displayed by an upper unit. When the overflows is occurred in the uppermost unit, km2, acre, the measurement can be continued by pulse count display. Average value measurement: In order to get better result of measurement, Mean value measurement is recommended. This measurement can be easily done on this N-Series.Measurement of an area with different lateral and longitudinal Scale. Auto-power-off function for energy saving. Hold memory Function:In cumulative measurement, this Hold Memory function is effectively used. If an error occurs in measuring, press C/AC key. Then last measured value is appeared by pulse count. Since previous measured values before error are stored, there is no need to another measurements from the beginning. Automatic shifting of unit to upper unit:When the measured area value overtlows the displayed figures of 8 digits, the measured area value is calculated and displayed by an upper unit. When the overflows is occurred in the uppermost unit, km2, acre, the measurement can be continued by pulse count display.Average value measurement: In order to get better result of measurement, Mean value measurement is recommended. This measurement can be easily done on this N-Series.Measurement of an area with different lateral and longitudinal Scale. 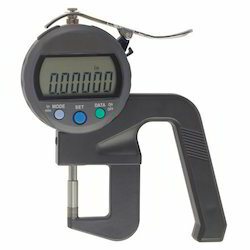 Allows simple, quick and accurate thickness measurement. 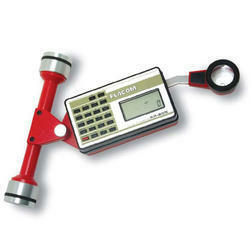 Looking for Digital Planimeter ?